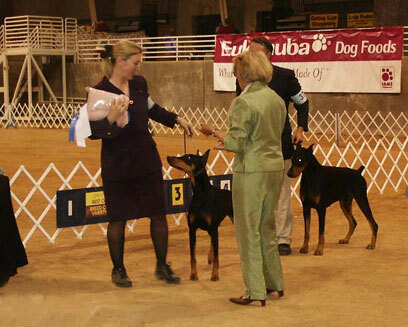 Kim Beck's, 147 Myrtle Ave.
Doberman Judges at all breed shows: Geringer, Lopaschuk, Amburgey, Purkhiser. 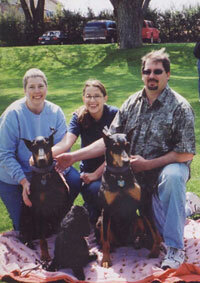 Check out the SLDPC Library on line for your convenience. Veteran's parade at 1998 Specialty. We welcome new members. 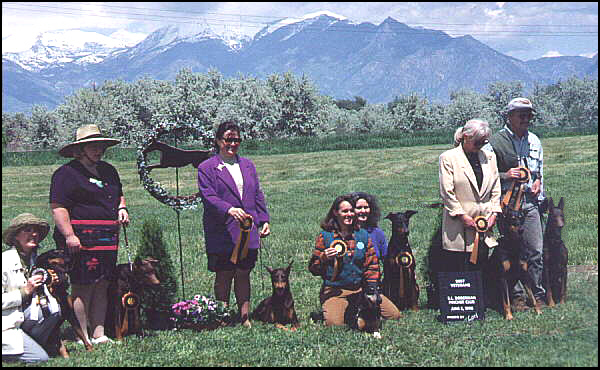 Our mission: to help promote the Doberman as a loving, loyal companion; to fund and maintain our rescue and educational divisions, to preserve the working temperament of the Doberman, and to foster good relationships with other Doberman lovers, offering support through knowledge and friendship. or email her at legacydobermans@msn.com for membership info.